Some parts of the Site and/or Services may require registration should you wish to access and use them. The conditions as to which parts of the site require registration may change without prior notice from Girls Glamour. If you choose to register, you will provide accurate and complete registration information to become a member of the site (“Members”). Failure to do so, is a violation of these Terms and Conditions and at its sole discretion, Girls Glamour may terminate your account immediately. You will be responsible for updating your registration information if it changes. When registering you are asked to choose a username in order to participate on the site. Usernames once chosen cannot be changed. This username should not be offensive, illegal, violate trademarks/copyrights, impersonate others, slander, harass or threaten. Girls Glamour retains the sole discretion to reject your username, and is not required to provide an explanation for the same. Using any part of the site and/or Services for advertising, or solicitation without the written consent of Girls Glamour or to “spam” other members is prohibited and grounds for the member being barred from using the Site, Content and/or Services. You are responsible for safekeeping of the password that you use to access the Site, Content and/or Services. You agree not to disclose your password to any third party and to take sole responsibility for any activities under your password, whether or not you have authorized such activities. All right, title, and interest in and to the Site, Content and/or Services are and will remain the exclusive property of Girls Glamour. All Content and/or Services are protected by the Copyright laws of India and you may not copy or use them elsewhere without the written consent of Girls Glamour. You, and not Girls Glamour, have complete liability for all material (text, graphics, videos or otherwise) that you upload to the Site, Content and/or Services (“Member Posted Content”). You warrant that you own, or have the necessary license, consent, permission, and right to use and post such Member Posted Content on the Site. Girls Glamour, at its sole discretion, may delete or block access to any Content including Member Posted Content, without notice and without liability. You retain all of your ownership rights in Member Posted Content that you post to the Site. However, by virtue of your Member Posted Content appearing or having appeared on Site, you grant Girls Glamour a worldwide, non-exclusive, royalty-free, irrevocable and transferable license to use the Member Posted Content in connection with Girls Glamour business, including for the promotion and redistribution of the Site, Content and/or Service through its business partners, affiliates or any media channel and in any media format known now or in the future for any commercial purpose. This also includes any capability or business arrangement that Girls Glamour creates to allow search engines or other third parties to crawl, index and/or cache the Site, Content and/or Services. You also grant to anyone who accesses the Sites a non-exclusive license to access the Member Posted Content through the Site and/or Services and to use such Member Posted Content as permitted by this Terms of Service. Access, tamper with, or use non-public areas of the Site, Girls Glamour computer systems, or the technical delivery systems of Girls Glamour providers or attempt to test the vulnerability of any system or network or breach any security or authentication measures. Forge headers or otherwise manipulate identifiers in order to disguise the origin of any communication transmitted through the Girls Glamour Service. Upload, post, email, transmit or otherwise make available any material that contains software viruses or any other computer code, files or programs designed to interrupt, destroy, spam or limit the functionality of any computer software or hardware or telecommunications equipment. Girls Glamour retains the right to investigate and prosecute violations of any of the above, including intellectual property rights infringement and security issues, to the fullest extent of the law. Girls Glamour may involve and cooperate with law enforcement authorities in prosecuting users who violate these Terms and Conditions. You acknowledge that Girls Glamour has no obligation to monitor your access to or use of the Sites, Content, and Services, but has the right to do so for the purpose of operating the Site to ensure your compliance with these Terms and Conditions, or to comply with applicable law or the order or requirement of a court, administrative agency or other governmental body. Girls Glamour has the right but has no obligation to screen Content, including Member Posted Content before displaying it on the Sites and/or Services. If notified of Content which allegedly does not conform to these Terms and Conditions, Girls Glamour may investigate the allegation and decide, at its sole discretion whether to remove or request the removal of such Content.  The Content on the site is posted by Girls Glamour, its Members and/or third-party service providers such as journalists and bloggers and may reference other information sources. You understand that while Girls Glamour will attempt to provide current, accurate and complete information in the Content and/or Services, it does not guarantee that the information is accurate or complete or current. Members also contribute to Content by various methods including but not limited to writing blogs, posting comments and starting and replying to discussions. Girls Glamour provides no guarantee that Members provide complete, accurate or current information. You understand that all Member Posted Content is the personal opinion of that member or any external source they have quoted or referenced, and is not the opinion of Girls Glamour. Any references made in the Site to any names, marks, products or services of third parties or hypertext links to any third party site or information do not constitute or imply Girls Glamour endorsement, sponsorship or recommendation of the third party, of the quality of any product, service, advice, information or other materials displayed, or obtained by you as a result of an advertisement or any other information or offer in or in connection with the Sites, Content and/or Services. Girls Glamour respects the intellectual property of others. If you believe that your work has been copied in a way that constitutes copyright infringement, please contact us at copyright@girlsglamour.in with a description of the copyrighted work that you claim has been infringed, a description of where the material that you claim is infringing is located on the Site and/or Services and your contact details (address, telephone number, and email address). Girls Glamour does not guarantee but will endeavor to resolve such an issue at the earliest. If you violate any of these Terms and Conditions, your permission to use the Site, Content and Services may be terminated. Girls Glamour retains the right to revoke your access to and use of the Sites, Content, and Services at any time. Girls Glamour also reserves the right to cease providing or to change the Sites, Content, or Services at any time and without notice. Your access to and use of the Site, Content, and Services is at your own risk. Girls Glamour assumes no responsibility for any harm to your network, site, business, computer system that results from your access to or use of the Site, Content, or Services. In the event that any provision of these Terms and Conditions is held to be invalid or unenforceable, the remaining provisions will remain in full force and effect. These Terms and Conditions and any action related thereto will be governed by the laws of India. The exclusive jurisdiction and venue of any action with respect to the subject matter of these Terms and Conditions will be the courts of Ahmedabad, State of Gujarat, India, and each of the parties hereto waives any objection to jurisdiction and venue in such courts. These Terms and Conditions are the entire and exclusive agreement between Girls Glamour and you regarding the Site, Content, and Services, and supersede and replace any prior agreements between Girls Glamour and you regarding the Sites, Content, and Services. If you have any questions about these Terms and Conditions, please contact Girls Glamour at feedback@girlsglamour.in.